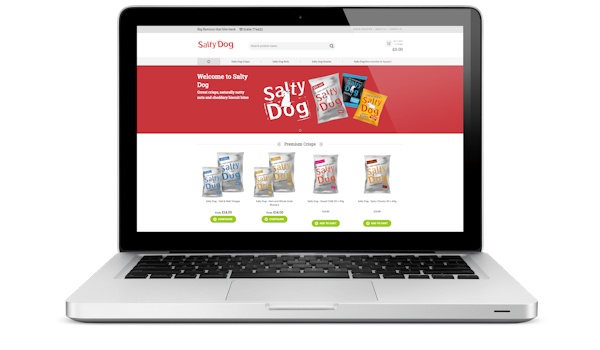 Salty Dog is a premium brand of delicious crisps and snacks. This brand is probably the most recognisable of the mouth watering offerings from Chiltern Snacks. 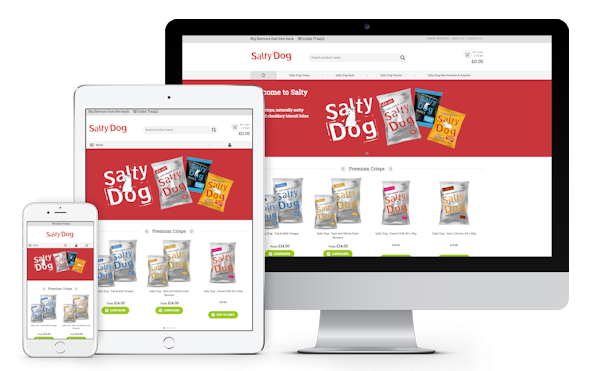 We worked with Chiltern Snacks to create a dedicated store front for Salty Dog crisps which is open to the discerning public to buy some of the tastiest British-made crisps available. This website was built with Magento Community Edition, using a single website with multiple store-views to manage multiple brands. Working closely with Chiltern Snacks and their branding agency, our design team created a bespoke theme to represent their business. The site is bold, clean and fresh, with an easy to navigate interface and rapid checkout experience, which works as well in the palm of your hand as it does on a traditional desktop computer.